When building a new pool or modernizing an aging one, choose your technology wisely. Certain types and models of pool equipment can make a major difference when it comes to power consumption! Among the key pieces of equipment are your pool’s pump, filter, and heater. By learning up front about the most energy-wise options available, your informed buying decisions can help you keep a rein on monthly power bills. The “heart” of a swimming pool, a pump provides the water flow needed for critical functions—such as circulation and filtration—to maintain healthy water. It also helps operate features like a pool cleaner or a waterfall. Pumps have internal motors to power them. When turned on, they push water through various pool components and accessories. What’s critical to understand is that each piece of equipment and related function demands a different amount of water flow—some more, some less. Also, the amount of needed speed—or pressure—of the water flow varies. For example, spa jets need a lot of pressure behind them. The pump motor must run with enough speed to provide that pressure for the jets to work properly. Let’s look at another pool function, filtration. This vital process involves circulating the pool water over to the equipment pad where the filter is located. To support the filtration process, the pump needs adequate power to circulate a high volume of water. However, the process can be performed over a number of hours with low pressure. This means the pump can run at a lower speed to get the job done. With a pump vital to performing so many pool functions, this component is the first place to look for energy savings. You have three kinds of pumps from which to choose: single-speed, two-speed, and variable-speed. All have electric motors that power them, and that’s why you want the one that will take the softest hit on utility bills. A one-speed pump operates at only one high rate to power all pool functions. Quite simply, a single operating speed makes this model the least efficient. Here’s why: Imagine if your car engine ran at a single speed, operating at 50 miles per hour, period. While you do need that velocity on the highway, you don’t need it for city driving. So when you drive to the corner store, the engine gives you only one choice for speed: 50 mph—even though 20 mph is all you need. With this kind of motor, a single-speed pump unnecessarily gobbles up the most electricity—and drives up operating costs. It’s why the federal government advocates swapping them out with more efficient models on existing pools, as explained in this informative guide. Another option is a two-speed pool pump. While this model costs more to purchase than its single-speed counterpart, it’s a better choice to conserve energy. Depending on what pool function is being performed, you can set the two-speed pump on either high or low speed. For example, to run filtration use slow speed. For more demanding functions, such as spa jets, the pool cleaner, or certain water features, use the high setting. Finally, you have the option of a state-of-the-art variable-speed pump. Utilizing permanent magnet motors—like those in electric cars—variable-speed units operate at the exact rate needed for each job. In other words, the motor runs to provide just enough water flow to perform the task at hand. Operation is simple. These units are easy to program, and some models come with preset buttons. Best of all, by consuming the least amount of energy that each particular pool function requires, a variable-speed pump is the top choice for efficiency. While a variable-speed pump carries a higher purchase price, the ability to adjust its speed with such versatility can save up to 90 percent on annual operating costs. Many multi-speed models wind up paying for themselves in energy savings in as little as two years. Filters play a pivotal role in keeping your pool clean by helping remove dirt and debris from the water. As water circulates through the filter, the “media” or material inside the filter screens out dirt and debris. At first glance, a filter may not seem like an obvious spot to seek energy savings. The filter itself is not the energy goblin; the culprit is the energy demands the filter makes on your pool pump. With this in mind, your choice of filter type makes a difference in your quest for an efficient pool. Three distinct kinds are available for residential pools: Sand, Diatomaceous Earth (DE), and cartridge. 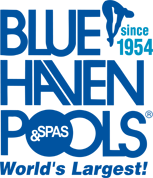 A sand filter is the oldest pool-filter technology. It uses a fine grade of silica sand to trap dirt particles in the water that flows through the filter tank. Sand filters hold another title: biggest energy user. This filter medium, sand, is dense. It’s tough for water to flow through it. By posing such high resistance, sand makes the pump work the hardest and the longest to circulate the water to complete a pool filtration cycle. Making matters worse: As the filter fills up with dirt, the sand density goes higher, thereby intensifying the resistance to pool water flowing through the filter. The added challenge forces the pump’s motor to labor even harder. The result: escalating energy consumption. Sand filters cause the pump motor to eat up extra electricity in a second way. When the filter becomes full, you must clean it out with a process called backwashing. After this process finishes, the filter requires a rinse cycle to reset the sand bed—more water circulating and yet another demand on your pump. Formed from fossilized remains of microscopic marine life, DE material is a soft sediment that crumbles into a fine powder. Inside a pool filter, this talcum-like powder covers a set of grids. While DE filters capture the smallest-sized particles, they also call for the most maintenance. Each time you clean your DE filter, you must purchase the powder to refill the grids. You must also perform the energy-intensive backwashing process described above. In recent years, the third kind of filter has soared in popularity. The cartridge type consists of a cylindrical tube of fabric material that’s pleated—kind of like an accordion—which sits inside a storage tank. Each tube, or cartridge, contains 50 to 175 square feet of pleated material. Some filters contain one cartridge, while others have a set of four cartridges. Those with sets may have several hundred feet of filtering material. Cartridge filters are easier on your pump motor, requiring less power draw than a sand or DE type. The pleats allow more water to pass through them each hour. Because they do, filtration of the entire pool completes more quickly. The bottom line: A sand filter takes the longest time to complete the filtration cycle. DE comes in second. The cartridge type wins. With a cartridge filter, your pump’s operating time to finish filtration will be shorter, thereby saving electricity. In addition, cleaning a cartridge filter is simple. More importantly on the energy front, it does not require the power-intensive backwashing ordeal. Expert Tip: For Maximum energy efficiency, seek out the largest pool cartridge filter you can get. The more square feet of filtering material for water to flow through, the easier it is for water to pass through the pleats—cutting the workload on your pool pump & motor. Penguins may enjoy swimming in cold water, but most people don’t. That’s why many homeowners choose to include a heater on their pool, particularly if they also have a spa. Depending on the part of the country you live, a heater can help extend swim season beyond hot summer days. No doubt about it, the activity of heating your swimming pool & spa can heat up your utility bills. For an energy-efficient backyard resort, it’s vital to pick the kind of heater that best suits factors like how your family will use the pool & spa. The pool industry offers three primary categories of pool heating systems: heat pumps, solar systems, and gas heaters. 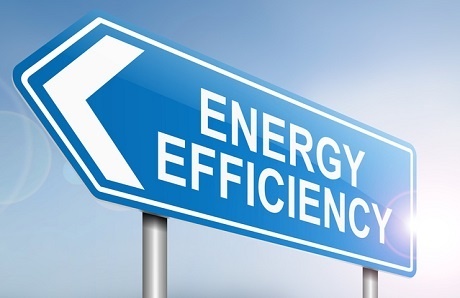 Each offers certain advantages for performance and energy efficiency. Heat pumps run on electricity, and they work by capturing warmth from the air outside and transferring it to the pool to boost water temperature. They carry a high price tag, but they can be a smart choice for some families in certain parts of the country. A heat pump may be ideal if family members use your pool year-round or nearly year-round and you want the water kept at a constant temperature. While highly efficient at maintaining temperature, heat pumps take longer to achieve a high temperature in the first place. If you want to get the pool ready for swimming tomorrow, a heat pump is not the answer. Ditto if you suddenly decide you need a hot soak in the spa. As for being friendly for the environment, solar heating systems are the hands-down champion. This heating method is a good call for areas of the U.S. that receive a lot of sunshine—and even better if local electricity rates are pricey. Like heat pumps, solar works best for pool owners who do not require rapid pool & spa heating. Although pricing for solar has come down over the years, systems continue to carry significant purchase and installation costs. However, your investment will deliver over time with zero heating bills for a warm, swim-ready pool. By far, the most common heater for residential swimming pools is the gas type. These units rely on natural gas, and some models are designed to use propane. Gas heaters come in different sizes based on the amount of heat they produce. Output gets measured in BTUs (British thermal unit). The most common heater sizes for a pool range from 150,000 to 400,000 BTUs. Expert Tip: Don’t make the mistake of scrimping on the heater size; for efficiency, it’s paramount to have the right size heater for the size of your pool; if the unit is too small for the water volume, it will waste fuel trying to achieve your desired temperature. Gas units are optimal for many pool owners because they can warm water quicker than their solar or heat pump counterparts. They provide the practical functionality most pool owners want for using their pools & spas. So, if you will be among the millions of pool owners with a gas heater, the key lies in choosing a model that earns high marks for energy efficiency. The most important feature to look for is a high thermal efficiency. Thermal efficiency is the ratio of usable output to energy input. In other words, how much energy—in this case, gas—must the unit expend to generate a certain level of heat. For example, a unit with 80-percent thermal efficiency requires $100 of gas to produce $80 worth of useful heat. Therefore, it loses 20 percent of the gas. Now, no heater out there operates with perfect, 100-percent thermal efficiency. The ratings on typical residential units range 80 percent to 84 percent. For the best overall value, look for a model with a rating that falls in this upper range. All major pool-equipment manufacturers put their heaters to a standard test to determine thermal efficiency. These ratings appear on the units, making it easy to shop for one that’s energy efficient. For more insight on choosing the most energy-efficient pool heater, check out this article, Swimming Pool Heaters: How to Pick a Replacement Unit. Combine a traditional gas heater with either a heat pump or solar system. The heat pump or solar system will keep your pool temperature maintained at a set temperature. The gas heater will serve as the muscle to fire up the spa or quickly raise the mercury when there’s little sunshine and cool outside temperatures. No one likes high electric or heating bills. Anything your household can do to conserve power helps preserve the environment and keeps more money in your pocket. Keep in mind that the purchase price of energy-efficient equipment may be higher than less-efficient models. But making this investment is the smartest way to maintain your pool at the lowest possible cost throughout the year. In most cases, when your pool operates efficiently, your initial outlay will quickly pay for itself in annual savings. Be eco-smart and always choose pool equipment that’s gentler on Mother Nature and also helps keep your wallet green.